The MBBA is a group of people interested in preserving and repairing the local natural environment. Anyone can join. You don’t need to be a member to participate in our working bees. If you’d like to help, sign up to our newsletter, contact us via email at info@mbba.org.au or just turn up at one of the places shown below. Wear a hat, covered shoes and suitable clothing. Each session usually lasts about two hours. Next session: 2 May 2019, National Park sign, cnr Mahogany Drive and Redwood Ave at 7 am. 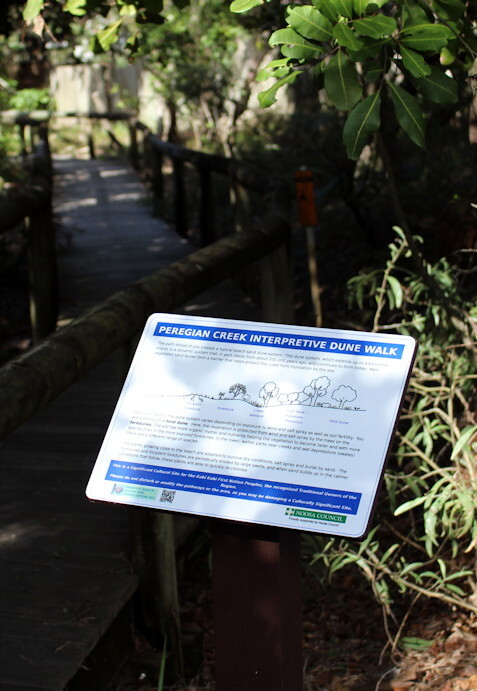 Next session: 20 April 2019, Beach Access 49, Peregian Creek just north of The Retreat, starting at 7 am. Marcus Beach – second Saturday of each month. 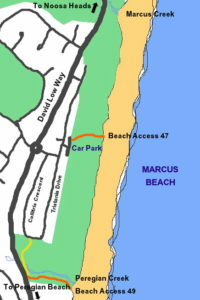 Next session: 13 April 2019, Beach Access 47, Tristania Drive, Marcus Beach, at 7 am. MBBA, w ith the assistance of the Noosa Council, has set up two signed interpretive walks through the foreshore reserves. 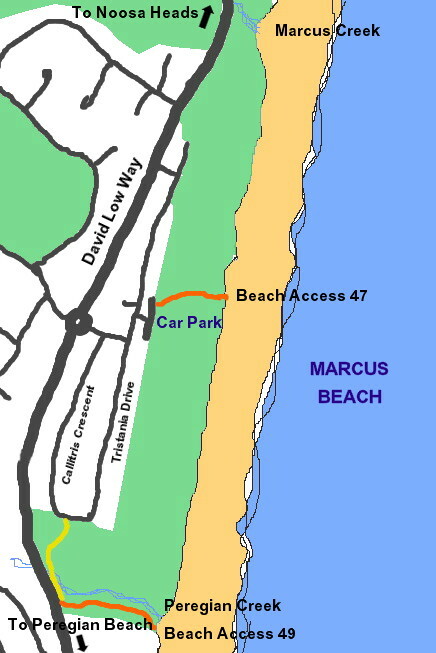 One is at Beach Access 47, Marcus Beach, and the other at Beach Access 49, Peregian Creek. You can download leaflets describing each of the walks here.